MMA Lighting Consultancy Ltd, a lighting design consultancy based in the south of England working on a national scale carry out lighting designs for private courtyards and roadways for numerous developers. As part of a residential housing estate the development is often split up into 2 sections. A section 38 area which shall become adopted by the local authority and a private area which shall be maintained by a management agency. We carry out private courtyard and road lighting designs to BS 5489: 2013 and Secured by Design standards.To compliment the lighting design service we offer to our clients we also provide isolux contour diagrams and private cable network designs to BS 7671 and the 17th Edition Wiring regulations. 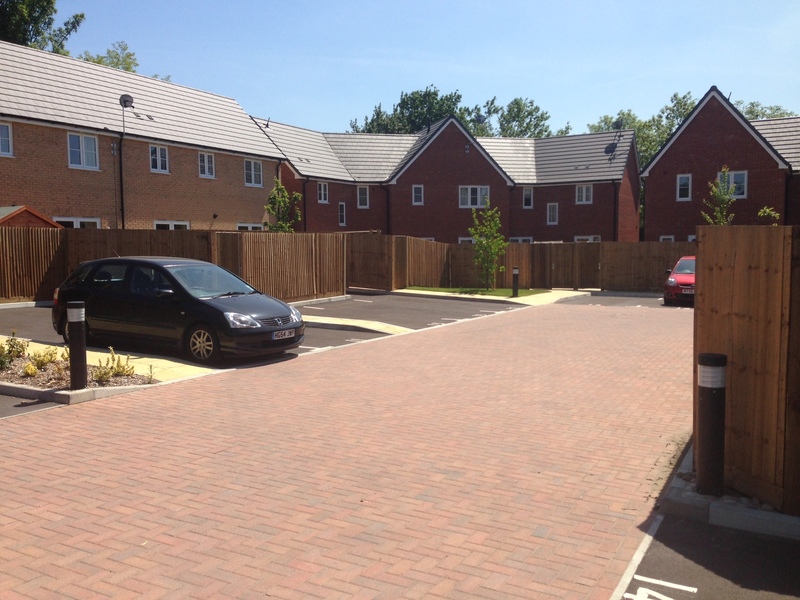 Depending on the requirements of a private housing development we can carry out designs with lighting columns or bollard lighting.Generally Secured by Design projects require lighting columns on the roadway and parking courts because it can be difficult to achieve even and consistent lighting with low height bollards. LED lighting designs are becoming ever popular with clients on private developments as they offer a maintenance saving, from a design point of view they offer excellent uniformity to achieve even and consistent lighting which is a Secured by Design requirement.